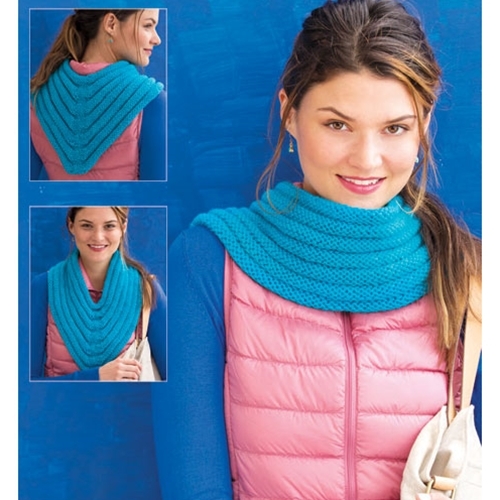 Kick back and relax in a cozy neck wrap that can be whipped up in a weekend. Rounds of alternating stockinette and reverse stockinette stitches create the ridged pattern; the V shape, which is worked in easy decreases, can be worn to the front or back. 14 sts and 24 rnds to 4"/10cm over ridge pat, slightly stretched lengthwise, using size 9 (5.5mm) needles.